We love it when the summer sun is high, and the green plants and grasses are all at their full, lush peak. 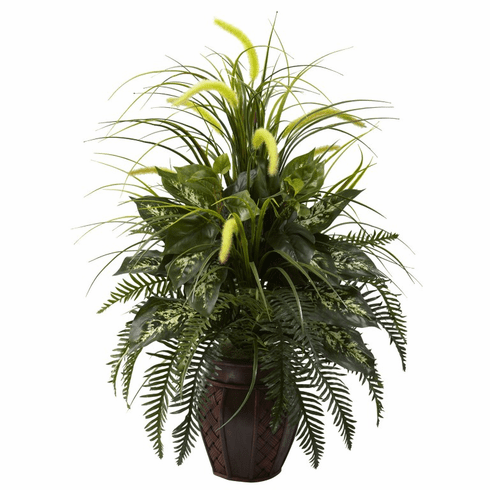 And we've captured that exact look for all time with this mixed green and cattails assortment. Featuring a bevy of beautiful summer green, topped off by wispy and full cattails in full bloom, this will make you think "summer meadow" even in the middle of winter. Comes with a decorative planter that looks great anywhere. Height= 36 In. X Width= 26 In. X Depth= 26 In.